Bright, colourful and confident. 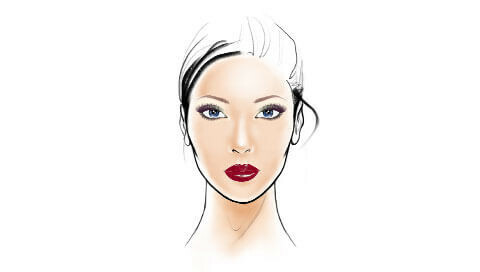 A step-by-step guide for a look that lets eyes and lips shine with radiant care. 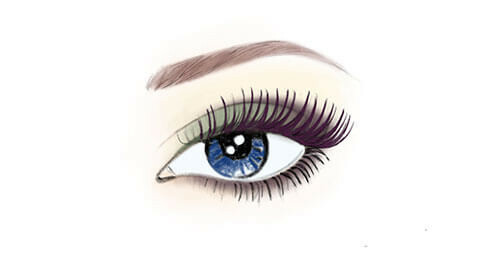 Apply the lightest shade of Eyeshadow Trio 02 jade to the entire upper eyelid as far as the eyebrow. Then apply the darkest shade of Eyeshadow Trio 02 jade to the outer corner of the eye, the upper lid crease and the edge of the lower lid. 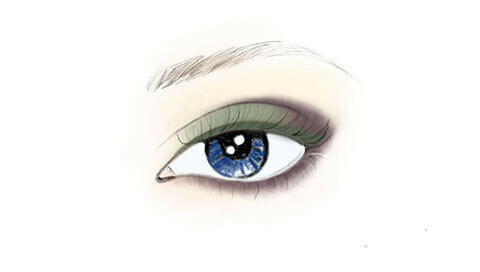 Finally, apply the middle, green shade of Eyeshadow Trio 02 jade to the centre of the upper lid, as far as the crease. 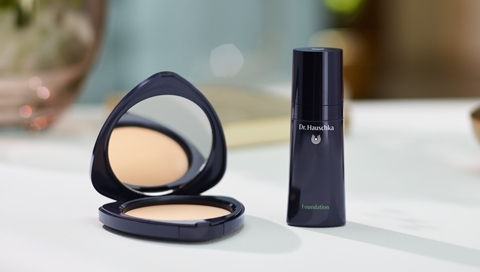 Start by applying the appropriate Dr. Hauschka Foundation for your skin tone. If necessary, also apply some Concealer. Apply Compact Powder to fix your make-up base and reapply whenever a touch-up is required. 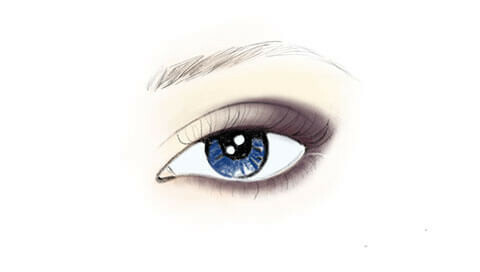 Use the Eye & Brow Palette to accentuate the eyebrows. 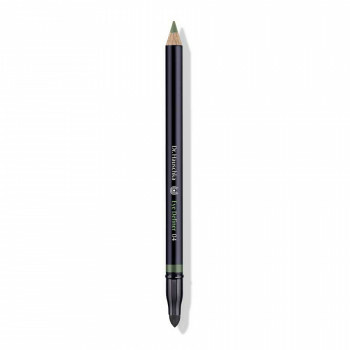 Line the upper eyelid with Eye Definer 04 green. 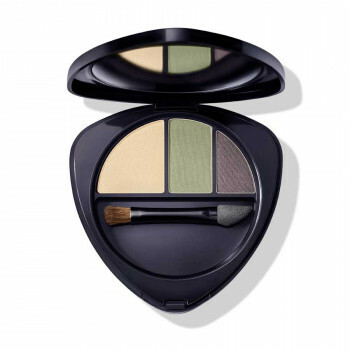 Dab some more of the green shade from Eyeshadow Trio 02 jade over the top of the Eye Definer for longer wearability. 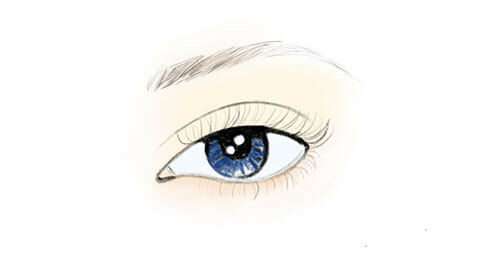 Apply Defining Mascara 01 black to the upper and lower eyelashes as a base coat. 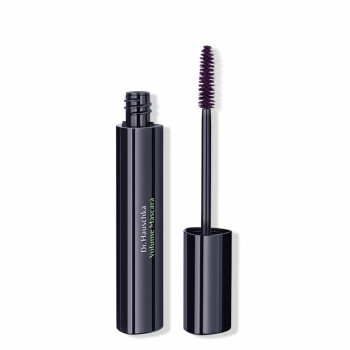 Then apply Volume Mascara 03 plum to the upper lashes only. Trace the lip contour with Lip Liner 02 red heart. 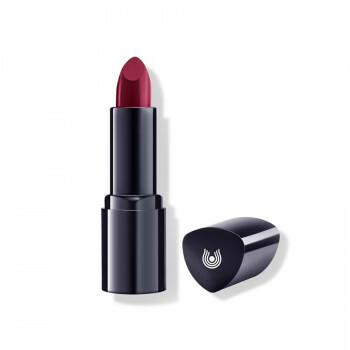 Use the lip brush to carefully fill in the lips with Lipstick 12 paeony. 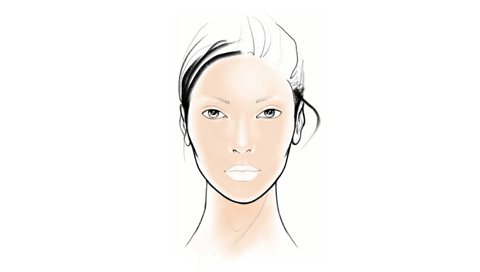 Highlight the colour by applying Lip Gloss 04 goji to the entire lip.